When you create the intention to be more intuitive you automatically become more creative. Intuition is defined as information that spontaneously appears in our awareness without any conscious effort on our part. Both intuition and creative inspiration occur beneath the level of our conscious awareness. Intuition cannot “willed” in the mind nor can creativity. They arise spontaneously when you let go and allow your mind to search the subconscious and collective unconscious for the solutions you seek. The intuitive flash of inspiration and creative idea is thrown forth onto the shores of our consciousness whole and fully formed without the thinking mind’s involvement. This is why intuition and creative inspiration often feel like an “aha” moment. When you decide to develop your intuition you will automatically find that you become more creative because the intuitive process also imparts creative ideas and solutions. Ideas that inspire you creatively will come to you constantly because you cannot be creative unless you are intuitive and you cannot be intuitive without also being creative. The two are intertwined. Here’s a simple creative exercise you can do to get a yes or no answer to a question. Close your eyes and take a few deep relaxing breaths. When you feel calm and centered ask yourself a question in a manner so that you will have to get a yes or no answer. For example your question could be: Should I buy this house? Is it time to look for a new job? Is marrying Don a good idea? Then picture yourself driving in your car toward an intersection where a policeman is directing traffic. There is one car up ahead of you going through the intersection as you make your way toward it. Now ask yourself the question the way you have worded it to get a yes or no answer. As you approach the intersection notice if the police officer is waving you through the intersection or telling you to stop. That is your answer. Trust it! Do you want to choose the right time to proceed with a project or some undertaking? Close your eyes take a few relaxing breaths. When you are ready envision that you are walking into a room in your home with a large monthly calendar hanging on the wall. As you get close enough to read it notice what year and month it is on. Then notice if a particular day stands out more than any other. That is your answer. Trust it. Not sure what time is best to make a phone call to someone or pay a visit somewhere? Close your eyes take a few relaxing breaths. When you are ready envision that you are walking through your house to your bedroom to look at the clock on your bedside table. When you walk in you see it. The time on the clock is the answer you seek. Trust it. Would you like an animal symbol to inspire or guide you in the right direction? Close your eyes take a few relaxing breaths. When you are ready envision that you are walking through a beautiful forest. You see the trees stretched out before you and hear the crunch of leaves as you walk toward a sun filled clearing. As you enter the clearing you notice an ____________ at the edge of the clearing. What animal did you see? Was it tame, did it come to you? Or, was it wild? Animals make wonderful symbols because each species has “traits” you can easily analyze to apply to the situation in which you are looking for an answer. To understand the meaning of the animal you can “Google” it for more information. Do you need a direct answer? Close your eyes take a few relaxing breaths. When you are ready envision that you are walking through a large library. You walk past shelf after shelf of books. Finally you come to a shelf and one particular book that you are drawn to. You pluck it from the shelf and open up. On the page is a word or phrase. This is the answer you’ve been looking for. Trust it. Complete this sentence…if money were of no concern I’d do… Or if I wasn’t afraid of upsetting so and so I’d do… Or, if I knew I couldn’t fail I’d undertake……. Don’t think about it – just answer the questions. When you remove the “shoulds” meaning “what you think you should do or what is possible” your answers will come straight from you’re the heart of your intuition and guide you to what you truly wish for and want to do in your life. Removing the “shoulds” opens the door to your creativity. Wondering who to partner with in your life? Are you unsure about who to work with on a new venture, or what job to take, or who to trust with something? Close your eyes take a few relaxing breaths. When you are ready envision that you are walking up the stairs toward the entrance of a house or building. You have an important meeting at this location with a person or the people that will become important in your life. You ring the bell or use the knocker. The door opens. Who is standing there? You are shown inside – who is there? The person answering the door and the people inside at this meeting are the ones you belong with. This is the answer. Trust it. Use these exercises to stimulate your mind to think more creatively. The more often you use them the more you will become a consistent “idea machine” generating creative ideas spontaneously day after day. Angela Artemis, an intuition coach, is on a mission to teach readers around the world to “speak intuition” so that they unlock all the brilliant potential that resides within. 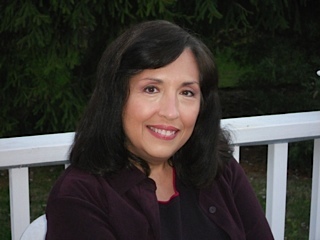 She blogs at www.PoweredbyIntuition.com and is an Amazon best-selling author. Readers are welcomed to download free bonus materials here.